Gas Actuated Thermometers, offered by us, meet the highest standard of measurement technology. Widely used in chemical, petrochemical, and process engineering industries, Wika Gas Actuated Thermometers are durable and highly accurate. We offer Gas Actuated Thermometers in numerous connections and case mounting designs. 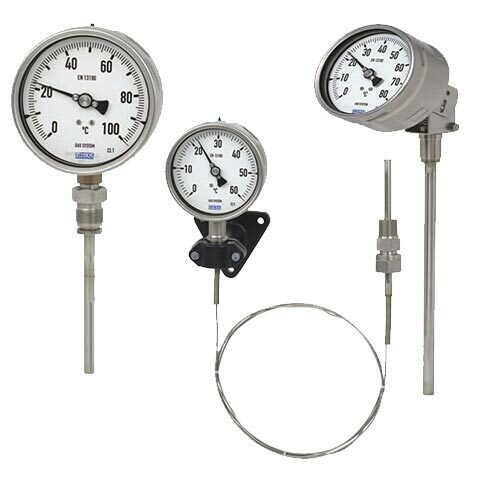 Moreover, we also offer these Gas Actuated Thermometers with adjustable stem and dial.